The Senate Ethics Committee said yesterday that it had found no support for a former aide's allegations that Sen.
Edward M. Kennedy had sexually harassed several women staff members. 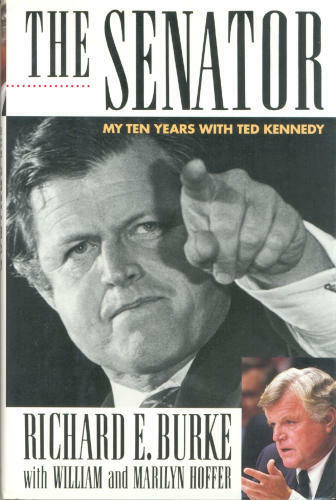 The committee's unusual statement said that its six senators had voted unanimously in June not to open an investigation into the allegations Richard Burke first made in a 1992 book "The Senator: My Ten Years with Ted Kennedy." When this book was published it was hot stuff. A decade later it seems rather tame. Why did Burke write it? He seems to have no rancor against Kennedy and admits that everything Teddy did, he tried to outdo so the question is never really answered. The portraits of Joan Kennedy and Rose Kennedy are gentle, almost tender ones. The best part of the book is when Burke gets out of Kennedy's bedroom and starts talking about the political goings on behind the scenes. The chapters on the failed 1980 campaign and Kennedy's relations with the Carters are fascinating.